We all know how hard it is to find niche products that will be selling like hotcakes and will make your customers come back to your website again and again. They say to find a hot product, you need nothing less than a kind of superpower. We say, you just need to go through the list of our extremely effective life hacks! And, if you’d like to see the extended text version, here it is! When people buy something from an online store, they expect to get one package with all the ordered products inside. If you have many suppliers and your customers like to buy dozens of products at once, they will need to visit a post office several times and probably won’t be happy about it. So, to find niche products for your eCommerce store, go for the suppliers who can offer you a lot of related items to sell. It makes sense to pick the products that have lots of positive reviews and are very popular with people. However, it’s better to find niche products with customer reviews containing photos. This will allow you to increase your sales and customers loyalty because people trust people more than brands! As a rule, most people decide to buy a product after looking at its photos. So, you need to search for the suppliers that take clear, high quality product pictures with no watermarks. What’s more, we recommend you pay attention to those suppliers who take pictures in the same style. This lets you combine different products and make your own exclusive collections for sale. You probably know who represents your target audience and which countries you want to reach. However, not all the suppliers are ready to send their packages to your selected countries. Some countries have awful customs or postal services, so people often don’t receive their orders. 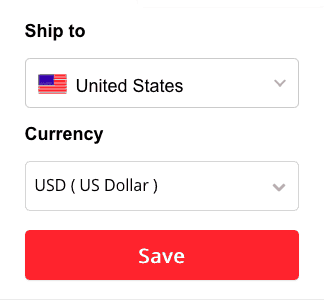 That’s why we recommend you select a target country before choosing the seller/ product. What’s more, we advise you to double-check all the delivery information displayed on the seller’s account! Sometimes, suppliers warn about their special conditions or limitations. You should definitely take them into account when dealing with these sellers. To find niche products for our self-owned stores, we regularly check items in Google Trends. 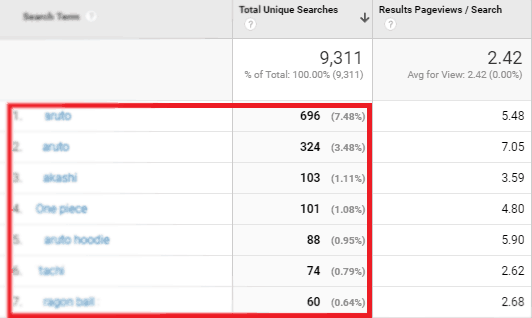 This tool analyzes the popularity of search queries across various regions and languages, and helps us decide if selling this product is really worth it. 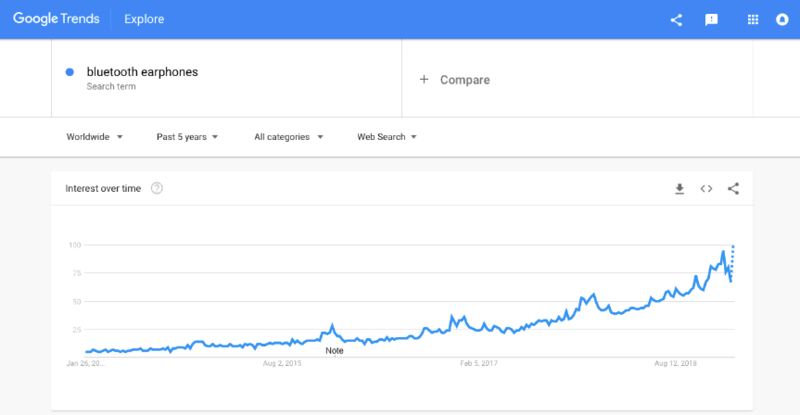 For example, let’s check how often people look for “bluetooth earphones”. As you can see, the popularity of this product is consistently growing. People are increasingly interested in modern technologies, so it’s a great idea to include this item in our product list. 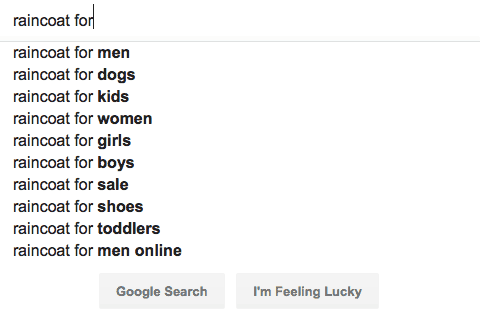 You probably know that when you start typing something into search box, Google starts showing you the most popular queries of other people. You can use these suggestions to find niche products that are the best choice to sell online. Think outside the box, play with words and you will get a massive list of the most popular users’ queries. Remember, the more research you do, the more new ideas or sources of inspiration you will discover. Like many modern consumers, I have a couple of favourite online stores where I usually buy clothes. I really like shopping there, but sometimes they don’t have all the things I’d like to purchase. When that happens I leave the website and start searching for that product all over the Internet. 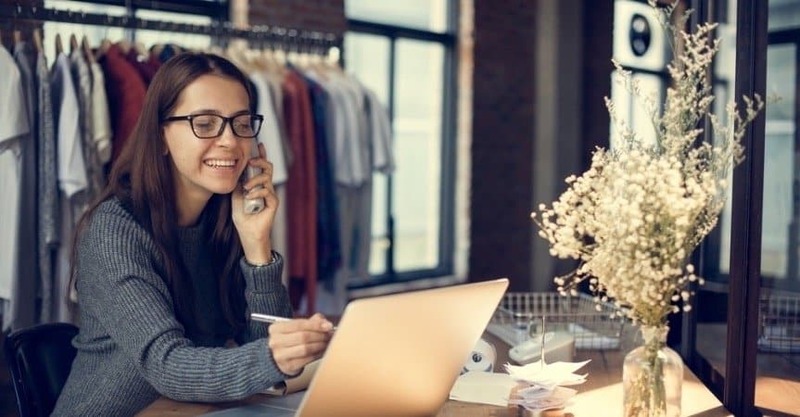 In order to avoid this unpleasant situation, you need to regularly track what your customers usually look for on your website. To do this, go to Google Analytics, click on ‘Behavior’ and open the Search Terms report. This data will show you what your clients expect to see on your website. 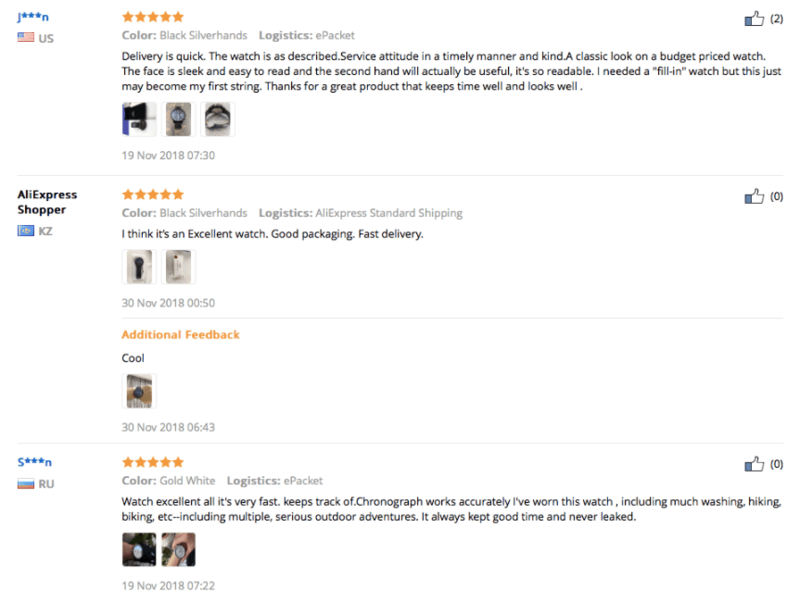 In the dropshipping business, great products mean cheap products. However, looking through thousands of AliExpress web pages in search of the cheapest products is not for the faint-hearted entrepreneurs. 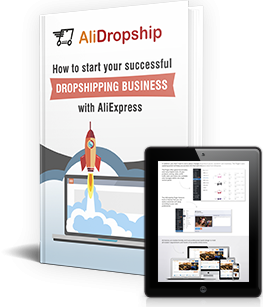 Our AliDropship plugin has a great feature which allows you check if there are identical, but lower-priced products from other sellers. Use it to compare the prices and you will find niche products for your store for the best prices available. When looking for the best niche products you should concentrate on items that have video reviews. Statistically speaking, after watching a product video, consumers are 64-85% more likely to make a purchase! So, it’s better to search for products that include short video reviews. However, if a really cool item doesn’t have a video review, you can always make your own one. In an earlier post we told you how to create amazing product videos, so feel free to read our guide. Here were the best life hacks that make it easier for us to find niche products for our dropshipping stores. Follow our tips and get the best additions for your own store offer! Good luck! 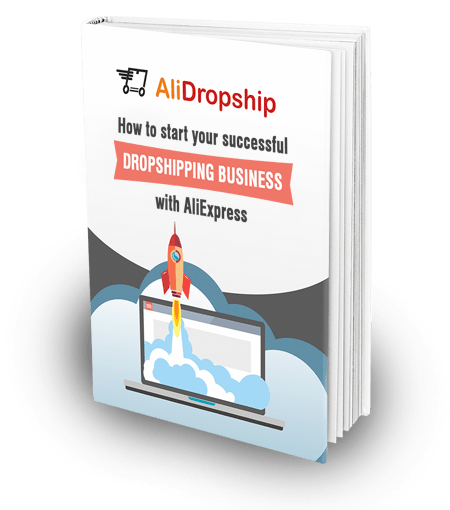 AliDropship is a WordPress plugin and can work with WordPres/WooCommerce only. it does not work with Wix. nice post. can you please help us how to find only videos products on aliexpress.which products have also videos.